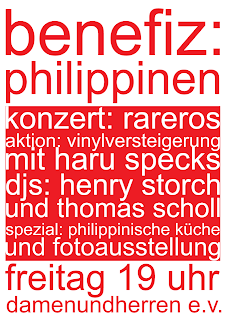 The Düsseldorf non-profit organisation damenundherren Kulturverein e.V are hosting an event on Friday November 21 beginning at 7pm in aid of the Philippines. 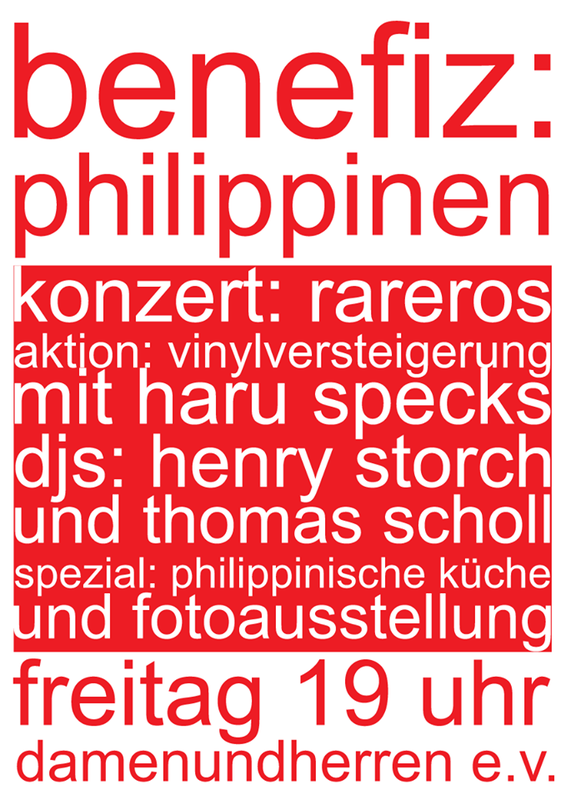 The evening will be filled with Düsseldorf's creative folks who will offer Fillipino food, live music, the finest djs, Haru Specks and Henry Storch, a photo exhibition and a novel auction of vinyl! Beautiful images of the Philippines put together by designer Detlef Klatt, who has worked extensively in the Philippines for many years will also be on sale. All proceeds will go to an aid organistion known to Damenundherren Kulturverein e.V who also have close contacts to the islands.